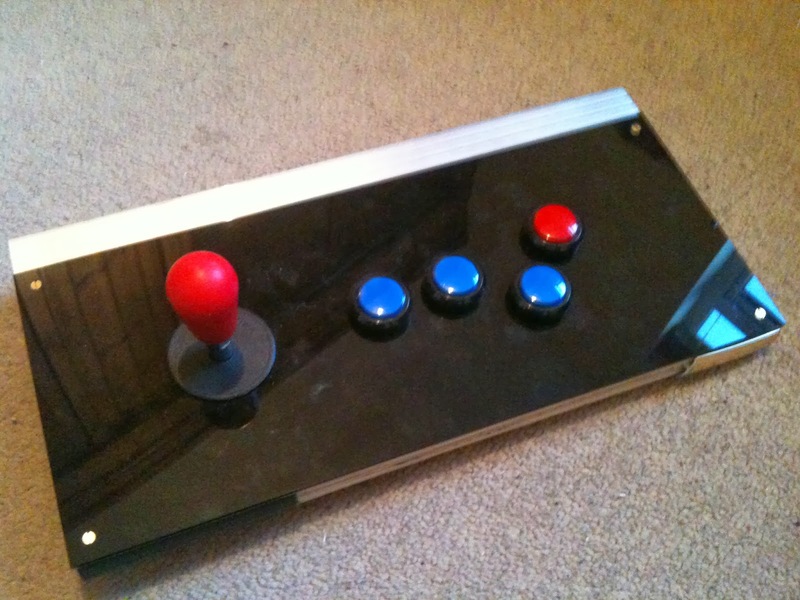 Crikey, putting that joystick into the control panel got me head scratching for a while. 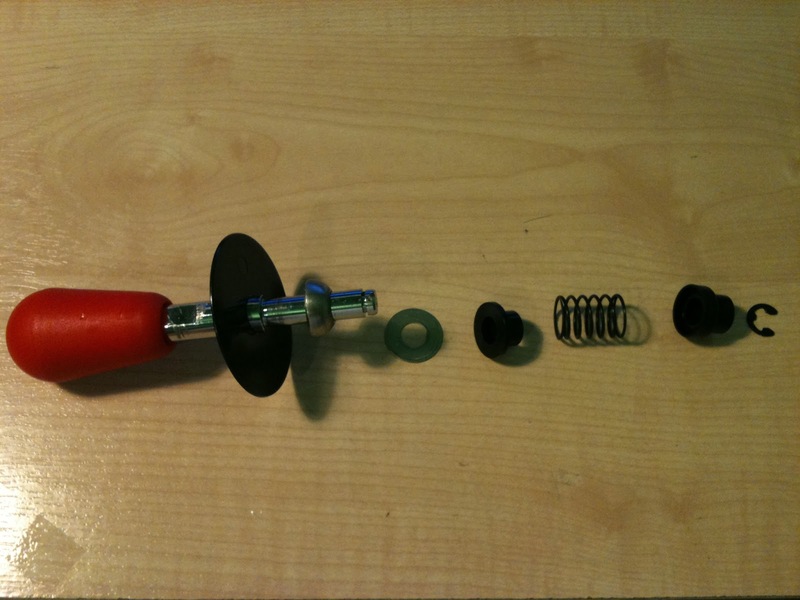 Good job I took a photo of the order of joystick parts so I could remember how to re-assemble it again. As you can see I went for coloured buttons. They have the option of being back lit too. I must say the Perspex is very shiny and shows up any finger prints too easily. Well, my plan is when it comes to be doing the final touches to the VecCab that I will arrange for a printed Lexan layer sticker to go over the top. The artwork for this layer will probably follow the MB Vectrex controller style. Side view of the nearly finished VecCab control panel. 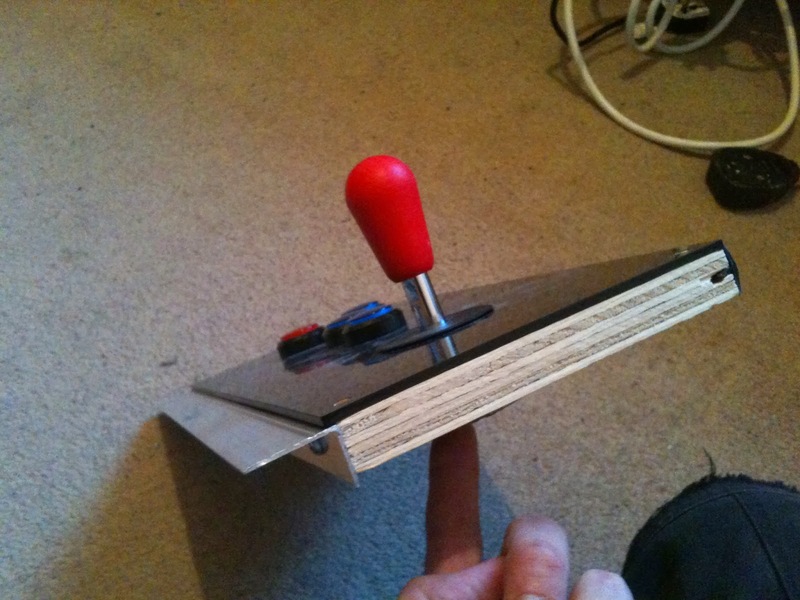 (The T molding is a good tight fit - no glue required! ).